Here's my vlog on the anniversary of Union Mission. Mission Anniversary. 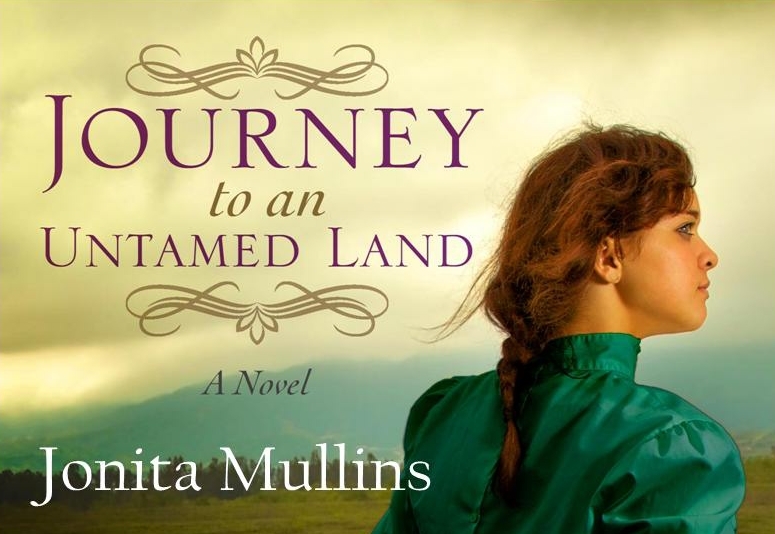 ﻿If you would like to read more about this first school in Oklahoma, please order my novel Journey to an Untamed Land. 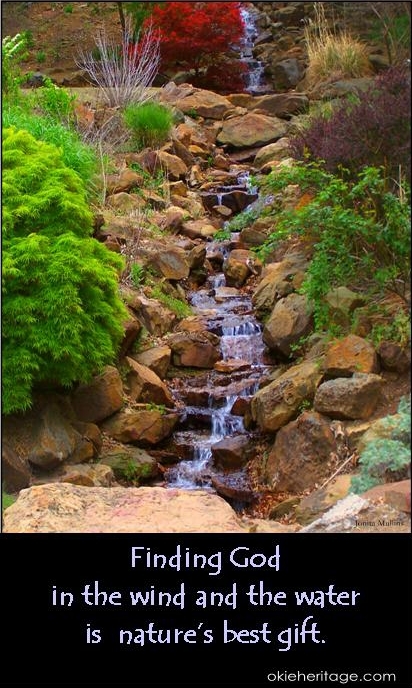 The waterfall at Honor Heights Park in Muskogee is one of my favorite places to enjoy. Waterfalls are beautiful and awe-inspiring works of God in nature. But what is interesting about this particular waterfall is that it was manmade. The rocks were hauled into place with mules in the 1930s. It was an awesome achievement inspired no doubt by the beauty of nature and a desire to replicate that beauty on a once overgrown and underutilized hill. It reminds me of another hill -- one used for a deadly purpose -- but upon which God created grace. 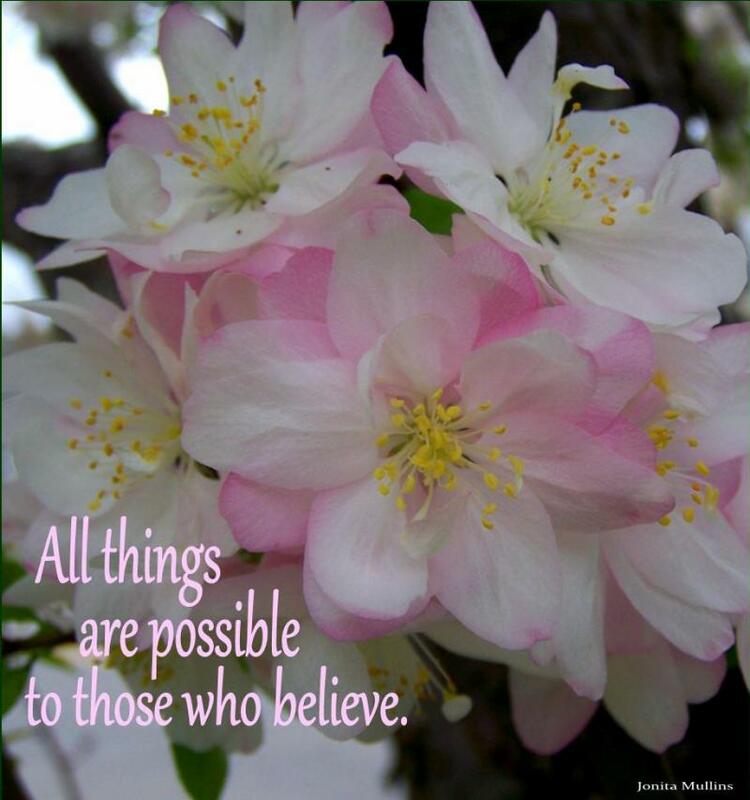 Sometimes it's hard to remember this promise when I see obstacles and difficulties. But I have to remind myself that God has got this, even if I haven't. I do believe He will help me achieve what seems impossible right now. Clarissa turned her attention to the keelboat captain, Josiah Douglas. Mr. Philip Pennywit was in his mid-thirties and had the look of a man who had long worked on the river. He spoke with a Virginia drawl and was fair-haired with a full beard and friendly gray eyes. He was immediately assailed with questions from the passengers. “Yes, ma’am,” Clarissa agreed politely, though she doubted that any of these rough looking roustabouts would give her a second look. Clarissa considered herself rather plain and had never been a woman to have men buzzing about her. More likely they would be drawn to another of the unmarried women on board – Miss Eliza Cleaver. Pretty and petite, the young woman wore her abundant blonde hair in long, curling ringlets in the fashion of the day. Clarissa watched as Eliza played with her nephew around the oarsmen’s benches on the keelboat deck. The hood of her blue wool cape had fallen back and her curls bounced in the breeze. Clarissa could tell that Eliza had already caught the eye of several of the men on board. Miss Cleaver, age sixteen, was traveling to Arkansas Territory with her sister Alice and brother-in-law John and their son. Billy Spaulding at age three was one of the youngest members of the mission party. John Spaulding would teach the male students while Clarissa was to teach the girls. “Shall we go down and look over our cabins?” Rachel asked, pulling Clarissa’s attention back to the Chapmans. At Clarissa’s nod, she motioned her children to gather around her. “Thomas, you lead the way,” she said to her oldest son, a fair-haired boy of nine who looked to be growing out of his gray wool pants. “I’ll be all summer sewing new clothes for that boy.” Rachel smiled proudly, causing Thomas’ ears to redden and seven-year-old Abigail Chapman to lapse into giggles. Clarissa winked at her and her younger sister Leah. James, a precocious six-year-old, trailed behind them, reluctant to miss any of the activity above deck. The group joined other passengers looking over their living space for the journey that would take several weeks to complete. Mrs. Chapman declared the cabins to be neat and tidy though to Clarissa’s eye they looked terribly small and cramped. Clarissa would share a cabin with Mrs. Martha Woodruff and with two of the other single women, Sally Edwards and Phoebe Beach. Each cabin had two sets of stacked bunks and all would be full for the journey. With their trunks set beside the beds, there was barely floor space to walk around the cabin. A small wooden cabinet held a white, unadorned water pitcher and basin on top, with a chamber pot tucked discreetly inside its one drawer. A high wooden shelf along the back wall with hooks beneath were all that was available for storing items. Hearing the order to cast off, passengers made their way to the top deck again, wanting to watch the procedure for pulling the heavy keelboat away from the dock. Captain Douglas stood at the wheel of the boat with Mr. Pennywit nearby to relay orders. The muscled oarsmen had taken position at the benches fore and aft of the pilothouse. Other boatmen, using long poles, strained to push the keelboat away from its mooring at the wharf. Once clear of other boats tied at the port, the rowers would lower their oars and with powerful strokes pull the boat into the current of the wide Ohio River. Clarissa stood with the Chapmans around her, but her eyes were not on the activity aboard the boat. She kept her eyes on the bustling port, watching it grow smaller as the boat moved downstream. She felt the jerk of the boat as the rowers bent into their oars for the first mighty stroke. She saw the expanse of muddy water widen between the boat’s stern and the wharf. Now there was no changing her mind and no going back. She could not know what would lie ahead for her as she journeyed into the vast American frontier. But she knew it could be no worse than what she was leaving behind. Clarissa could remember the conversation clearly from several months earlier. She had sat with her family at the Sunday dinner table discussing the morning’s sermon presented by a visiting minister. The Rev. William Vaille had told about the organization of a mission society in New York that had just secured permission to establish a school among the Osages in the new Arkansas Territory. The society was seeking workers to assist with this mission effort. They were most in need of teachers, having secured Rev. Vaille as the pastor and secretary for the mission, as well as a medical doctor and certain craftsmen such as a blacksmith, stone mason and carpenter. While her younger sisters had amused themselves during the sermon by watching a snowfall out the church windows, Clarissa’s attention had been riveted to Rev. Vaille’s description of the beautiful prairie where the mission would be located. Perhaps this is my answer, she thought. I can play the courageous and benevolent teacher and no one will ever know I’m just running away. As her family sat around the dinner table following the morning church service, the discussion had immediately turned to Rev. Vaille’s plea for teachers for the mission. George was in his first year at Yale College, a fact that everyone in the family was proud of. Dr. Timothy Dwight, president of the college, had long been a leader in encouraging the development of mission organizations. “Yes, father,” George said agreeably enough, but Clarissa knew her brother longed for some grand adventure before settling into the dull work of running a textile mill. Clarissa took a deep breath, drawing up her courage. “I’d like to go,” she said, her voice coming out in a timorous squeak. Everyone at the table stopped what they were doing to turn and look at her. Even her two sisters who until now had shown more interest in buttering their rolls than in the conversation about missions work were looking at Clarissa as if she suddenly had grown a second head. Clarissa Johnson stood quietly on the long, wooden dock of the Pittsburgh port. A cool morning breeze pulled strands of chestnut brown hair from the green silk bonnet she wore. The young woman could scarcely take in the bustle of activity at one of the busiest river ports in the country. A square jaw, strong chin and wide mouth gave Clarissa a look of confidence that she did not feel. In fact, she felt as if the earth were moving beneath her feet. She gave a little shake of her head to try to clear the swirling sensation. It’s just the water and all this rushing about, she told herself to try to calm her nerves. It has nothing to do with the fact that I’m changing my life forever. But she knew that wasn’t true. The bustling of the waterfront matched the turmoil in her heart. Clarissa gripped the handle of her carpetbag a little tighter and closed her eyes to shut out the sight of the water lapping at the piers and causing the boats to gently rock up and down. “Quite an impressive operation here isn’t it?” a voice suddenly beside her caused Clarissa to jump. She opened her eyes to see one of the other members of the mission family standing at her elbow. The young man at her side was not much older or much taller than Clarissa but had a pleasant open face and nice smile. He wore his light brown hair pulled back in a club held with a simple cord of leather. His gray wool coat was serviceable, but clearly not of an expensive cut. Clarissa remembered that he had been introduced as a mechanic, but she could not remember his name. She had been introduced to so many new people since they had all assembled at the United Foreign Mission Society’s headquarters in New York last week. “Do you know when we will board?” Clarissa asked, wishing that they could finally begin the journey. Though she had left her home in Colchester, Connecticut two weeks ago, the journey would not begin in Clarissa’s mind until they left Pittsburgh. For it was from here that she truly would be “jumping off” into the vast wilderness of the American frontier and leaving behind the comfortable familiarity of her small New England hometown. Until the keelboat pulled away from the dock, she could still change her mind, as her mother had twice reminded her when she boarded the stage in Colchester. And Clarissa was afraid that if they didn’t board the keelboat soon, she might change her mind. Her stomach was developing knots from the waiting. He turned an appraising eye upon Clarissa, appearing to study her carefully. “Have you been aboard a boat before, Miss . . . Cleaver, isn’t it?” he asked, coloring a little as if embarrassed that he was at a loss about her name. “I’m afraid I don’t have much experience with boating myself,” George confessed. “I hope I don’t embarrass myself by taking ill.” He stuffed his hands into the pockets of his coat, as if suddenly self-conscious about his lack of travel experience. Clarissa eyed the squat keelboat that they would soon board as she tucked a strand of hair back into her bonnet. The wind was getting up again, increasing the chill in the air. “Yes,” Clarissa agreed. The fact that a medical doctor would be part of the mission was one of the reasons that Clarissa’s parents had finally agreed to allow her to join it. While they approved of her desire to do some good with her life, they had been quite reluctant at first to consider their oldest daughter’s wish to travel out to the Indian country to teach at a mission school. As the unofficial Muskogee historian, I was conducting a vintage trolley tour one evening through the historic neighborhoods and then Honor Heights Park’s Christmas lights. It’s a fun way to enjoy homes decorated for Christmas while learning some of their fascinating history. On board the trolley that evening was a Fort Gibson family. A daughter, about nine years old, named Chloe asked me, “Is this the Swon Brothers trolley?” She and her mom had attended their homecoming concert last June and knew Zach and Colton Swon had arrived at the Civic Center by trolley. Then Chloe asked, “Where did they sit?” She was looking around as if she was going to knock whoever was in that seat out so she could sit there. But Angie told her, “They didn’t sit; they stood on the back platform so they could wave to everyone.” Chloe eyed the platform as if thinking about going out there, but it was cold so instead she just planted two big kisses on one of the posts (one for each of the brothers, I guess). Later her mom and I were talking about the Swon Brothers’ recent performance on The Voice where they had placed third on Season 4 with the help of Blake Shelton. So watch out, Zach and Colton Swon. I think a little girl in Muskogee has plans for one of you . . . later on. Angie and I have decided we should start a new marketing strategy for our Okie Heritage History Tours. Instead of calling the trolley “Okie 1,” we could name it The Swon Brothers Trolley. We’re sure we would be able to fill it with fans . . . especially the girls. I had the great opportunity last evening to meet the Eastern Oklahoma State Spelling Bee Champion who represented the state last year at the National Bee. What an inspiration Richelle Zampella is to me and everyone else at the meeting. Though visually impaired, this Oklahoma School for the Blind student is poised, confident, smart and well-spoken. Two of the sponsors of the EOSS Bee were also at the meeting. Bill Goodwin of Holloway Blueprint and Charlie Randolph, founder of Charlie’s Chicken, were clearly as inspired by this girl as I was. These two successful businessmen were swiping at tears as they congratulated Richelle on her accomplishments. Richelle gave a brief speech reading from a Braille computer and never stumbled once while speaking. I doubt that I ever did that when I was her age. Then she read a poem she had just entered into a contest. It was beautiful listening to her descriptive words having only to do with sound and touch. I can tell that Richelle and I share a love of words. Richelle told us that she is already working to learn the 1600 spelling words that she will need to know for the upcoming regional Bee. As gifted and capable as this young woman is, I don’t doubt that she will do well in the competition. She may again travel to Washington to do Muskogee proud on a national stage. The Eastern Oklahoma State Spelling Bee is well-organized and continues to grow each year. Susan Hoog, the chairman, does a fantastic job with it. We have grown from 71 schools represented last year to having 90 schools registered for the competition in March at the Muskogee Civic Center. Ours is the 13th largest Spelling Bee in the world. Susan followed Richelle’s speech by saying she had the five “Ds” at work in her. These are Desire, Dream, Direction, Determination and Drive. I can only hope that as I strive to do what I can with words, as God gives me grace and ability, that I will inspire someone too. That’s my dream anyway. It is fascinating to me when I drive around the Three Forks area of Oklahoma to note all the possible Indian burial mounds that remain in the river bottom lands. Any odd little hill makes me wonder if a people who lived here long ago painstakingly built it as a final resting place for those they loved. Unlike some, I do not think that our ancient ancestors were idiots with tiny brains. They left us too much science and art – precision and beauty – to think that. I believe that they thought and dreamed and loved and mourned much like we do today. It is this commonality of our humanity that transcends ethnicity or age or time or place. The Three Forks area was long inhabited by native people going back to at least 700 AD. At that time, the Mississippian Mound Builders were living here, creating the burial and religious mounds that were central to their advanced civilization. Many mounds still exist around the region. Some have been excavated, but others remain sacred and untouched. 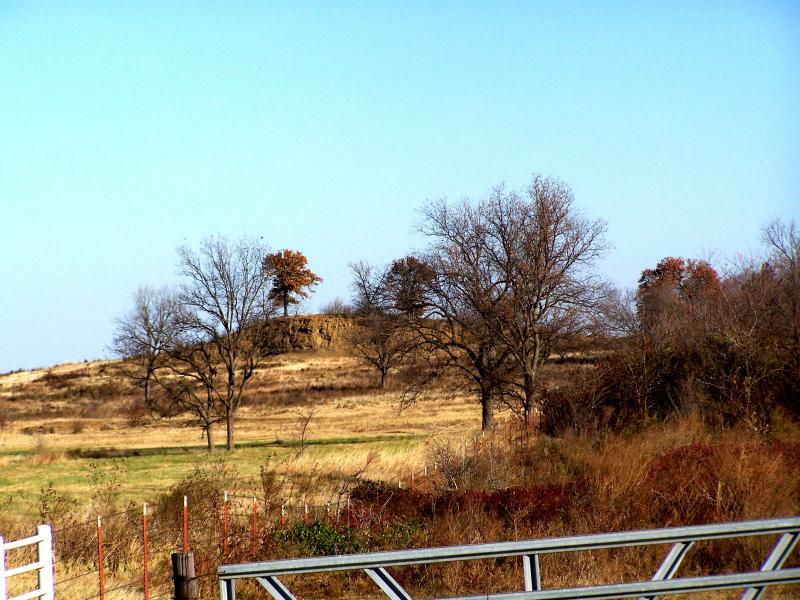 The twelve mounds in the Spiro Mounds complex show that these Mound Builders had a good knowledge of astronomy. Certain mounds line up exactly with the rising or setting sun at the changing of the seasons. The fact that there are 12 mounds at Spiro suggests that they acted as a calendar for the community. And beautiful pieces of artwork have been excavated at these mound sites. See . . . science and art. Both are a reflection, I think, of our Creator – the ultimate scientist and consummate artist. I find these burial mounds a reminder of every person’s reach for something higher than themselves – a reach for the eternal. Religion is the proof of our yearning for God. As Thorton Wilder wrote, “There’s something way down deep that’s eternal about every human being.” And we have always known it – even ancient people building mounds toward the sky. So I had this idea . . . I was watching the movie, “National Treasure 2: Book of Secrets” some time back. Well, only half way watching; I usually have some needlework in my hand when I’m sitting in front of the television and that gets most of my attention. But a name mentioned in the movie suddenly caught my ear. Albert Pike. It sounded familiar, but at first I couldn’t place it. According to the character on the screen, Pike was a Confederate general corresponding with Queen Victoria about a treasure. The name kept running through my head and now I was paying closer attention to the dialogue, hoping to hear the name again. Then it came to me. Albert Pike, a Mason, had been a real historical figure. He had played a significant role in Indian Territory history. He had been the Confederate official who had negotiated the alliance treaties between the Confederacy and the Five Civilized Tribes. And, having received a commission in the army for that service, he then came to the Three Forks area and built a Confederate fort which he named Fort Davis (after Confederate President Jefferson Davis). 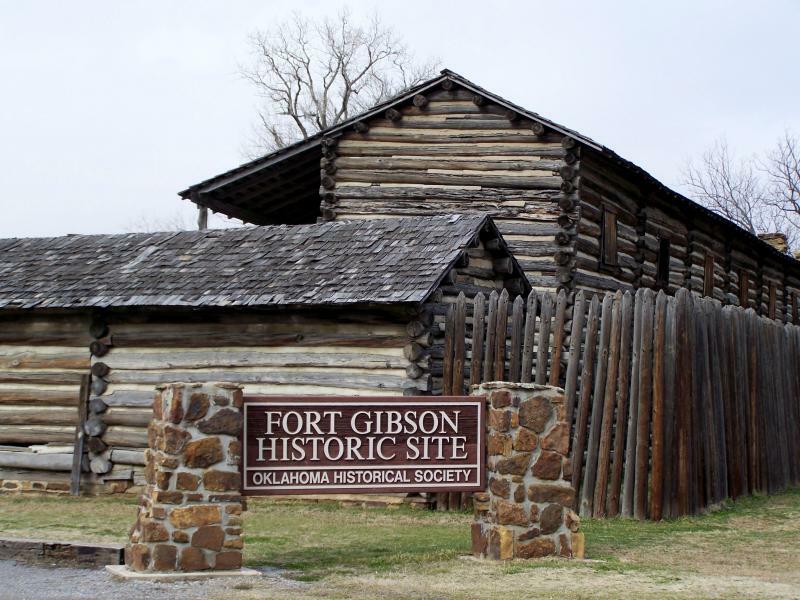 It had always seemed odd to historians that Pike had chosen to build a new fort directly across the Arkansas River from the abandoned Fort Gibson. Why not simply occupy this fort rather than go to the trouble of constructing a new one? That got me to thinking. Maybe there was another treasure that Pike knew about here in Indian Territory. Of course, by this time I had wandered off into a fiction about lost treasures hidden among the Cherokees. So I puzzled on how I might create a new treasure story and place it right here in the Three Forks region. Then I remembered a bit of information I had run across when researching Greenleaf Park. Legend has it that the Cherokees knew what happened to the lost colony of Roanoke and passed the secret down from generation to generation. Could I create a treasure story around that? My imagination was running wild by this time . . . trying to think of all the ways I could weave national landmarks into a treasure hunt that would start and end in Muskogee, Oklahoma. What I finally sat down and wrote after weeks of research and plot development is a screen treatment (not a full screenplay) called "Cherokee Treasure." I think this movie needs to be shot in Muskogee! I completely enjoyed taking a group of students from Boulevard Christian’s Graham Hall School on a walk through one of Muskogee’s historic neighborhoods. As I told the students, every town has an interesting history. Sometimes you have to dig a little to find it, but it’s always there. And often it’s the folks who grow up in that town who take it most for granted and don’t bother to get to know about it. Muskogee not only has a fascinating town history, but it also has so much history that is important to the state. Like building two governor’s mansions . . . and electing two Muskogeeans as governor of Oklahoma. Or serving as the capital of Indian Territory and laying out a “capitol hill” with the full intention of becoming the state capital. Or giving the state its oldest Baptist church, oldest newspaper, oldest college, first bank, first hospital, first ballfield with lights, first Girl Scout cookie sale and first duo to reach the finals on The Voice. So when a group of kids gather around me and listen attentively while I explain the Dawes Commission or the use for Indian Territory’s first x-ray machine, it’s gratifying to see that another generation has an interest in the past. As we discuss the difference between Classical Revival and Queen Anne architecture, they are learning to appreciate what is special and unique about their hometown. History has to be told and retold or it fades from memory. It has to be grasped by each new generation or it will be lost and some of the richness of life and place is diminished. It’s the same way with faith. We can appreciate that our grandparents had an unshakeable faith in God, but it won’t do us much good if we don’t experience that same faith for ourselves. Each new generation has to find the truth of God’s love and grace for themselves. I think of porches as being the lap of a house. You know how wonderful it was as a child to sit in your mother’s lap while she read to you or kissed a boo-boo away or combed the sleepy tangles out of your hair. It was comfortable . . . and warm . . . and safe. Even as a child I always loved wide front porches with a porch swing and hanging plants and flowers and tables for lemonade and cookies. I felt cheated that my childhood home, a 1960s ranch style house, had just a bare little square of concrete in front of the door. It was hardly big enough to play on, had no room for seating, and certainly didn’t provide much fodder for the imaginative dreams of little girls. It just wasn’t fair. My dad served as the neighborhood handyman since he could fix just about anything. So anytime he was asked by a neighbor (who had a porch) to come do some work for them, I always asked to go along. Then I would shyly ask the fortunate homeowner if I could play on their porch or swing in their porch swing. I could then spend an hour or two in happy play. That totally sealed my love of porches. So when I started the search for the home I would buy, of course having a great front porch was one of the top criteria for me. I was living in Haskell at the time so my search took me from Tulsa to Jenks, Bixby, Coweta, Wagoner and Muskogee. 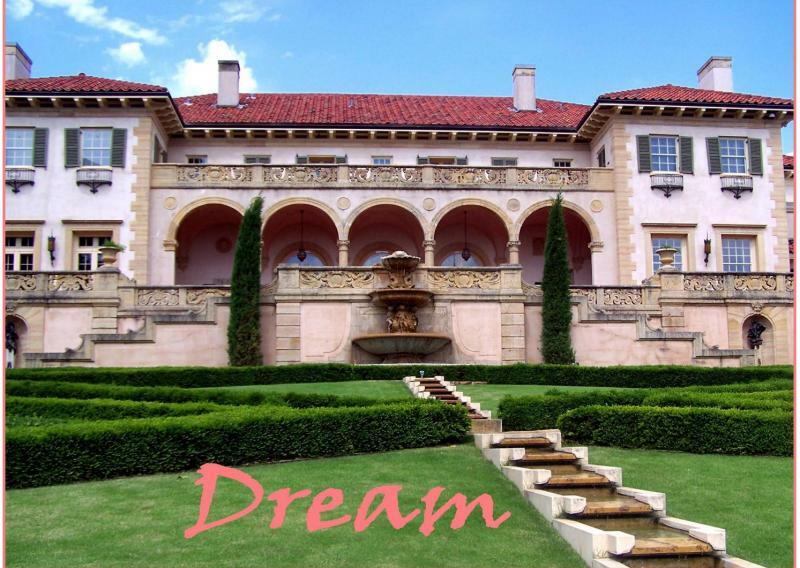 I saw so many beautiful old homes while searching for one I could afford. I finally chose one in Muskogee’s Founders’ Place Historical District. What a great place. Not only did my house have a wonderful front porch, but so did most all of my neighbors. And there was nothing” cookie cutter” about these homes and their beautiful porches. Every one of them is unique – some sophisticated, some quirky, some artsy, some plain and simple, but all add to the charm of an older neighborhood. Years ago, porches were always included in the construction of a home. They were practical places as well as beautiful additions to a house. 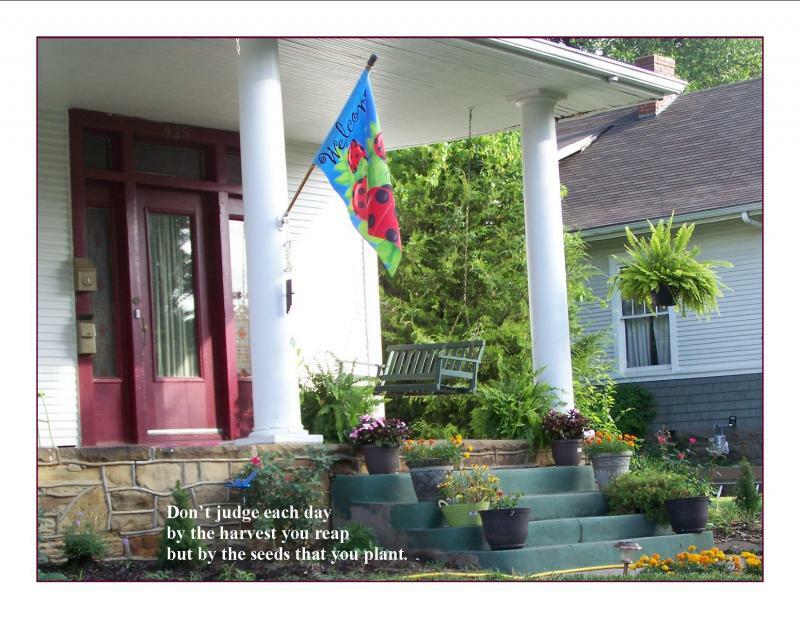 And I am convinced that porches made our neighborhoods friendlier, healthier and safer places to live. People left the couch and sat outside in the cool of the evening. They visited with neighbors passing by on actual sidewalks and kept an eye on the kids who were playing in yards instead of sitting in front of a screen. These houses and their neighborhoods were lively and had a far greater sense of community than most modern additions where porches are the size of postage stamps and garages are big, honking monstrosities dominating the entire front façade. Sometimes you can’t even find the front door because it’s hidden in the shadow of the monster garage. I had the opportunity to visit the Rose Hill School in Perry during the Oklahoma Historic Preservation Conference in June. The teacher at this one-room school behind the Cherokee Strip Museum did an excellent job of making us adults feel like fifth graders. She guided us back to 1910 and put us through our paces in penmanship, geography and Oklahoma history. It was great fun, but I learned that left-handed people have a terrible time writing with a pen dipped in an ink well. My penmanship did not gain me an “A.” In fact, I was scolded for being left handed (along with about a third of the “class”) and made to write with my right hand. Sadly, with pen and ink, my right hand writing was better than my left hand! But I excelled at the Oklahoma history portion of the lessons. Hmm, wonder why? I was the only one in the class who knew the name of the first governor of Oklahoma. And I proudly pointed out (for extra points) that Governor Charles Haskell was an Okie from Muskogee. 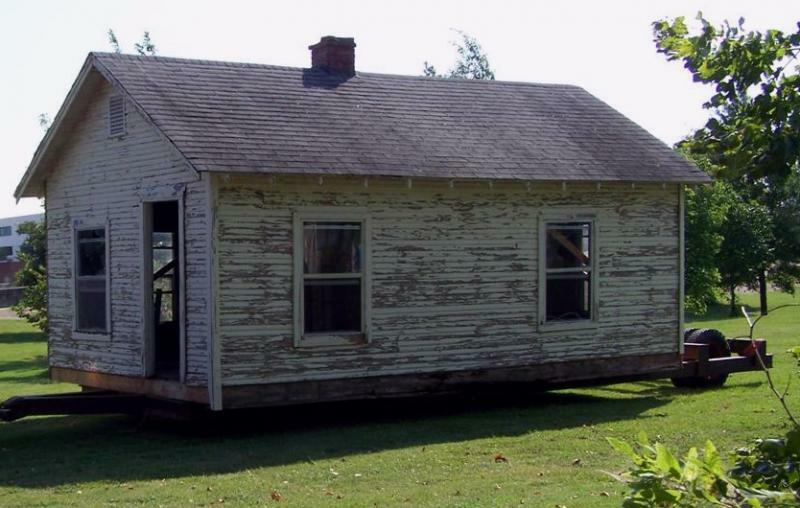 Three Rivers Museum here in Muskogee has just moved a similar one-room schoolhouse to sit behind the depot where the museum is housed on Elgin Avenue. Museum volunteers and staff plan to restore the little building and turn it back into a school. Working with Oklahoma teachers, they will welcome students to come and spend a day learning how to write with pen and ink and draw a map of the state on a slate with chalk. This particular school was built in rural Wagoner County for African American students around statehood. When students visit our school – the Oak Grove School – they will be guided back to the World War I era or perhaps the Depression. They will learn how their grandparents were schooled. It will be a fun way to learn and hopefully they will return to their regular schoolroom with a greater understanding of their own history. The museum is accepting donations to help cover the cost of restoring the schoolhouse and furnishing it for class. Visit their website – 3riversmuseum.com – to make a donation. In my constant search for topics for my history column in the Muskogee Phoenix, I do a lot of reading. I always say that my mind is like the lint filter on the dryer – it captures all the apparently useless but oh-so-fascinating facts from history and stores them in random order in my brain. Sometimes I can remember the source; sometimes I can’t. That is the case with a quote I remember from my readings. “We are all cousins.” This remark was made by someone while talking about the close connection between the Cherokees and the Creeks. These two American Indian nations have lived in close proximity to one another for hundreds of years – first in the southeastern United States and then, after removal, in Oklahoma. That phrase appealed to me and became one of those bits of lint stuck in my head. I think this can be said of the human family as a whole. DNA researchers have proven what Moses recorded. We are all descendants of a single mother. Though we may be cousins a thousand times removed and may never be able to trace our family tree back to the common branch, we are all cousins. I like that. We are all one big family. We are all just different shades of brown. We are all alike even as we are all different. We need to work a little harder at understanding one another. We need to work harder at getting along. We need to remember that we share a common mother and a common Maker and He is watching how we treat each other. So it really isn’t a “redneck” thing to be cousins. It’s a human thing. We are all cousins. The missions, and the missionaries who worked at them, provide great stories about the development of Oklahoma. In the early 1800s America experienced a revival and a great missionary movement grew out of this spiritual renewal. Dr. Timothy Dwight, president of Yale College in Connecticut, helped organize the mission society sending young people out to work among the American Indians. Dwight believed every student at Yale should have a heart to serve others. So in 1820 a group of 28 young people, mostly single, but also a few young families, set out to work among the Osages in Arkansas Territory. This new territory had been created from southern Missouri Territory in anticipation of Missouri joining the Union as a state. At that time, Arkansas Territory included everything that is today Oklahoma, except the panhandle which belonged to Spanish Texas. Can you imagine the challenges these young missionaries faced? They traveled for months on a keelboat by way of the Ohio, Mississippi and Arkansas Rivers to arrive at a rough little trade community called Three Forks. There were probably only a few opportunities along this river journey to even take a real bath! That alone would keep most of us from such an undertaking. As I work to develop their story in my novels, I come to appreciate their sacrifice and their heart for service. They came to a spot on the Neosho (Grand) River that was untouched prairie. They had to float logs downriver to build their homes and a school. They created Union Mission with the labor of their own hands and the faith in their own hearts. I wonder if I would have had the courage, the fortitude, the determination, the trust in God that such an undertaking required of these young men and women. They were brave and hardy souls and as I come to know them in my writing, I come to admire them for the example they left for me. I’ve been working with the Muskogee Chamber, the Port’s AIM Initiative and the OSU Extension office in putting together a program on Customer Service/Community Pride. Last fall, the Port’s Economic Development office held a series of community meetings to get honest feedback from local citizens about Muskogee’s strengths and weaknesses. The AIM (pun intended) was to use that community input to develop some action plans for making Muskogee better. AIM stands for Action In Muskogee. About eight committees were formed from this effort and each committee is working on difference aspect of community improvement. Making Muskogee a Great Place to Live & Visit is one of the committees I volunteer with. We took on this Community Pride/Customer Service training program as a project we hope will make Muskogee a more visitor-friendly town. Not that we aren’t friendly – we are. In fact, one of the things that people say they are most proud of about Muskogee is our friendly people. So why is it that all that niceness doesn’t translate into consistent, outstanding customer service and why is that we don’t always show visitors that we are proud of our community? After all, we can all sing the song right along with the Swon Brothers . . . “I’m proud to be an Okie from Muskogee . . .” Yet, we don’t always communicate that very well to the hundreds of thousands of visitors who enter our borders each year. To me the answer is simple – training. People aren’t born knowing good customer service and if they don’t receive training, how are they to know? And even if you were born at Muskogee Regional Medical Center (or Baptist Hospital), that doesn’t mean you automatically know how to give directions to Honor Heights Park or can name Muskogee's six museums. So training is the key. And the Great Places Real. Okie. PRIDE program can provide that training. Call the Muskogee Chamber to ask about this program. I’m one of the trainers and would love to visit your business to help your employees learn more about why we’re all proud to be Okies from Muskogee! On the morning after the deadly Oklahoma tornados, the rumbles of thunder aren’t rattling the windows anymore. The rain is just rain, not a driving force tearing at the very fibers of the house. The storm is passing over and we have once again survived. People who don’t live in Oklahoma don’t understand it. Why do we stay in a place with the ominous nickname of “tornado alley”? It’s hard to explain. Maybe it’s because disasters – either natural or man-made – can happen anywhere. Maybe it’s because we know that you won’t find better neighbors anywhere who will look out for each other and help each other through whatever comes our way. Our Lt. Governor, Todd Lamb, has said that Oklahomans – we aren’t ashamed to be called Okies – are the best in the world at dealing with disaster. We’ve learned through experience that life isn’t fair; it’s sometimes quite hard. But whether we are dealing with a Dust Bowl or a bombing or an F5 tornado, we stand together. Democrats and Republicans, liberals and conservatives, Baptists and Methodists, Sooner and Cowboys – we are all one when we face disaster. Here in Muskogee where I live, we escaped the worst of the storms. But we felt them anyway as we followed what I call “the tornado routine.” We sit in front of the television, heart in our throat, watching the storms play out. Then we walk to the window and check on the weather outside our own home, running through the list of steps we’ll take should the warning be given. If the clouds look suspicious, we’ll step out onto the porch and cast an experienced eye at the swirling scud, watching for that telltale sign of a beginning vortex. Before the tornado warnings started being issued at around 3:00 pm (CDT) our biggest concern in Muskogee was making sure everyone voted for the Swon Brothers after their live performance on The Voice. But as Colton Swon said on the show, something like this makes you realize what is truly important. Family, friends, the mementos that hold the history of our lives – these are the irreplaceable things that matter. Our faith in God and our faith in each other always gets us through. The storm is passing over and we will survive, stronger and more compassionate than before. I was working with a group of other community volunteers to pick up trash around the Museum District and Antiques District. All in all, the area wasn’t terribly trashy and that makes me feel good about my community. We certainly have areas that look bad (doesn’t every town?) but for the most part, we do try to keep things clean. I guess you have to have one or two of these folks in every group – it must be a requirement of some sort. I’m sure they think of themselves as the “realists,” and don’t realize that it is such negativity that keeps things from getting done. I noticed that none of the naysayers showed up for the work day. That supports the conclusion that I have drawn about folks. There are two basic types of people – the watchers and the workers. The watchers know how everything ought to be done and they will be happy to tell anyone who will listen. They are quick to criticize others who are trying to get something done. They will stand on the sidelines and complain or find fault with everything. But they never contribute anything themselves except negative words. Then there are the workers – sadly a far smaller group of people. These are the folks who actually roll up their sleeves and try to get something done. They don’t claim to be perfect and they acknowledge that not everything they try works as well as they would like. But at least they try! While the watchers simply watch. I was thinking about that as I dug trash out of the mud along the highway during our cleanup day. It’s a rather thankless task and certainly not glamorous to stuff pop bottles and fast food wrappers and (ugh!) dirty diapers into a trash bag. There were no cameras pointed our way while we worked and visited with one another along the cleanup route. But as I looked behind me and saw a clean stretch of sidewalk and parkway, there was a nice sense of satisfaction. This is a metaphor for life. Do the best you can and try to leave the world a little better than you found it. Be a worker instead of a watcher. It’s far less crowded in the group that actually does something. I attended the Muskogee Wellness Initiative annual luncheon and enjoyed hearing Oklahoma City mayor Mick Cornett speak. Though folks would say Oklahoma City and Muskogee don’t have much in common, we can still learn from how OKC has started to turn itself around. There seems to be a natural life cycle that cities go through just as people do. OKC began with a land run and went from being open prairie to a tent city of 10,000 people literally overnight. Muskogee sprang up in a day also when the M-K-T Railroad arrived and established the location for their primary depot in Indian Territory. Both cities began without much of a plan and we’ve been playing catch up ever since! Compact downtowns where people lived, worked, shopped and enjoyed entertainment and recreation characterized older communities established before the automobile took over our lives. People walked wherever they went or rode the streetcar if they needed to travel more than a couple of miles. Streets were narrow and made for the pedestrian. Front porches were wide and made for swings and sipping lemonade in the evening and watching the kids catch fireflies. Communities were friendly and safe because everyone was outside watching out for each other instead of stuck on the couch in front of the television. So we see the two great culprits in the decline of the health of our communities – the car and the tv. The car enabled city sprawl, rows of cookie cutter houses, super highways, smog and obesity. The television contributed to our lack of exercise and poor health, isolation and indifference to our neighbors and the attendant rise in crime. Now I know it’s unfair to say automobiles and televisions are responsible for everything that ails us. We make our choices and are responsible for our own lives. But we have to admit we let our car and our tv rule our lives sometimes and we suffer the consequences. Our downtowns have declined because the car took everyone out to the suburb after 5:00 and our health has declined because we spend so much time in our cars or in front of the television, we have little time for exercise. Oklahoma City is working to turn their community around with its innovative MAPS projects that have revitalized the downtown core and with the mayor’s challenge for community members to lose a collective one million pounds in weight. We’re trying to jump start a revitalization of Muskogee through the AIM (Action In Muskogee) projects we are currently developing. If you have an opinion about what Muskogee needs to do to be a better community, speak up. It will take all of us to make some positive changes. The Food & Fitness Coalition held a cleanup day for Centennial Trail on Saturday. A couple of Boy Scouts troops with their leaders came to help out. Since I’m an occasional trail user, I wanted to do my part to help keep it clean so I was there with gloves on. Andy and Carrie were a part of the cleanup crew who just volunteered like me because they use the trails and want to give back a little to a community that provides these great assets. This married couple has a great story. Andy grew up in Muskogee but like a lot of other young people went off to college with not much thought of ever coming back to his hometown. He and Carrie spent a few years overseas and when they were ready to come back to the States they had a decision to make. Where would they settle? Family was here in Muskogee, so that was an important part of the decision. But Andy has said that as avid bicyclists, the clincher for deciding on Muskogee was the great trail system we have here. They bought some acreage with easy access to Centennial Trail and try to bike around town as much as possible. Who knew a biking trail would convince someone to live in our town. Is that cool, or what?! On cleanup day, when I arrived at the designated meeting spot at the Oklahoma Music Hall of Fame parking lot, Carrie was trying to corral their new puppy a friend had just given them. Named Pepper, she was a pretty purebred, black and white bundle of wiggles. All the boy scouts were giving her lots of belly rubs and that little puppy was in heaven. Doug, the organizer of the cleanup, gave us all our assignments for working on certain sections of the trail, handed out water and work gloves, and told us to watch out for poison ivy. Poison ivy! I hadn’t bargained on that weed being around the trail. Me and poison ivy don’t get along so well. Fortunately, I didn’t run into any while working on my designated stretch of trail from Fifth Street and then west. The Parks department keeps a pretty good swath of grass cut down on each side of the asphalt, so the danger of getting into something is pretty minimal if you stay on the trail and don’t wander into the woods. Yes, I said “the woods.” Some people refer to it as “the Wilderness.” There is a stretch of trail that takes you through a wooded area even though it is still right in the heart of town. It wasn’t so pretty when we were working there because the foliage wasn’t out much, but in the spring, summer and fall, the woods are a gorgeous little stretch of peace and tranquility. In the late summer, the wild clematis is in bloom and it fills the air with fragrance. If you haven’t been out on the south section of the trail because you were afraid to go into “the woods,” I would encourage you to give it a try. It really isn’t scary at all. If you prefer to walk with a group, I’ll be leading a Group Walk/History Tour on Tuesday, April 2 at 5:30, starting from the Hall of Fame. So lace up your walking shoes and join me. We’ll get some exercise and learn a little history along the way. The Muskogee Running Club announced on Facebook that they were going to be walking a new trail they had cleared around Elliott Park here in Muskogee. I love that park and know it has some great history. I wanted to see the trail so I decided to walk it with the club. I had no idea what I was getting myself into. I pulled into the parking lot of the Sadler Arts Academy which is surrounded by Elliott Park. There was already a group of walkers gathered there and I feared I was late. But we stood around visiting for a while before the walk actually began. A mother and daughter were there together as well as a husband and wife, but the rest of us were young to middle aged women, except for the walk leader. He was an avid runner who had helped organize the Muskogee Running Club and who happened also to work for Parks and Recreation so he knows all the parks and running trails very well. Once we felt we had waited long enough for everyone interested to arrive, Joel led off. I try to walk regularly and don’t consider myself to be out of shape, but I quickly discovered I was one of the slowest in this group. As others passed me, I began to wonder if I was going to get left behind and hopelessly lost. Yes, Elliott Park is in the middle of town, but that trail is hardly marked and plunges into wooded areas where you cannot see a road, house or power line. It was beautiful, but I didn’t want to be out there by myself! Joel took us by the beginnings of a garden where a few cacti and scraggly irises had been planted. The school was going to try to get a full garden going some day and Joel asked for donated plants. 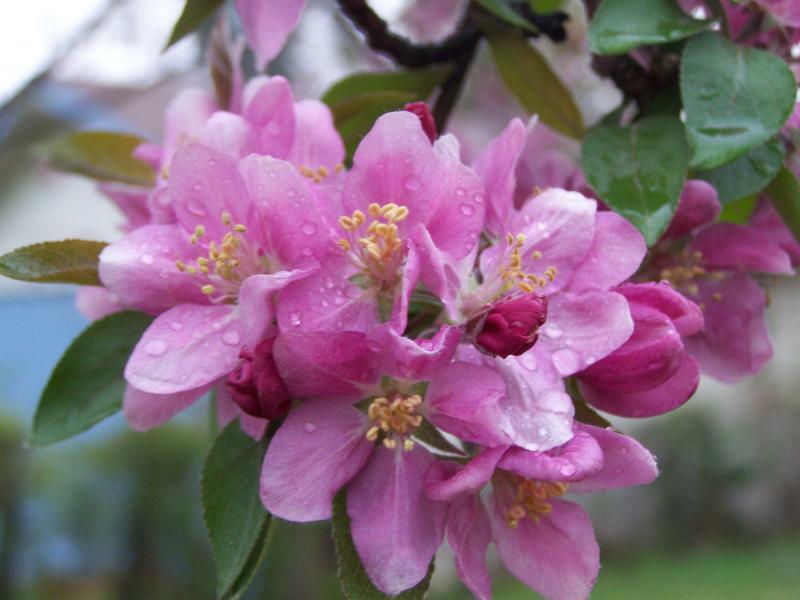 If you’re dividing plants or cleaning out your garden, you might give Sadler a call to see if they want your plants. We took a circuitous route down near the Rougher Alternative Academy and then headed uphill. I did not think rock climbing and cliff scaling would be a part of the bargain! I was stretched . . . literally . . . as willing hands reached out to help haul me up that sandstone outcropping. I expected to be sore the next day, but after a couple of ibuprofen I was good. Then we came around a bend and were greeted by the loveliest sight . . . thousands of fern-like plants which I think were Queen Anne’s Lace. The walking path took us right through this massive drift of lacy plants and it seemed a shame to trample through them. 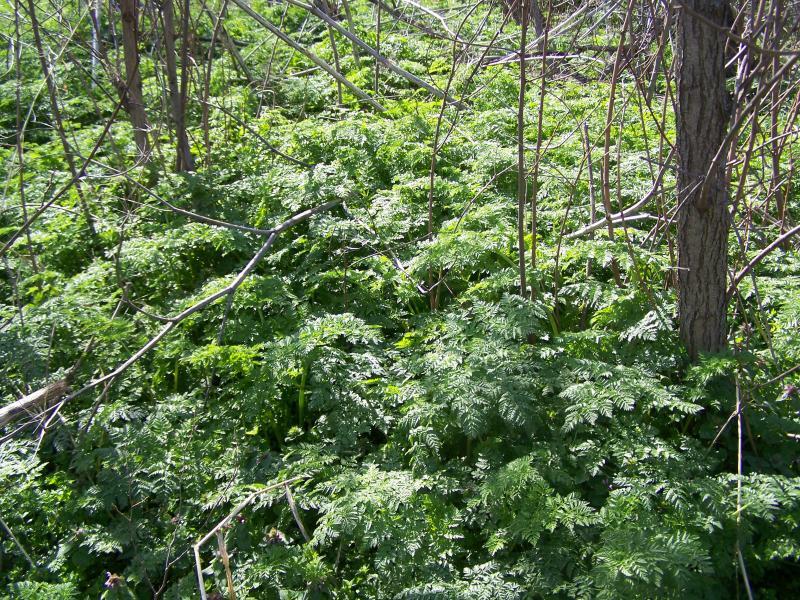 I imagine some wild growth like this is what gave nearby Fern Mountain its name. We walked on past a ropes course (did you know we had such a course right in the heart of town?). Then we circled around to climb to the WPA-built picnic pavilion at the top of the hill. Nearby is a bench dedicated to “Precious Doe,” the little girl tragically killed in Kansas City whose family lives in Muskogee. From there we returned to the parking lot. Some of the group were going to run the course on a second go-round, but I was beat and headed to my car. I was tired but happy that I went. Elliott Park is a little diamond in the rough, every bit as interesting as our crown jewel, Honor Heights Park. As far as I know, it’s the only park in Muskogee named for a woman (Willa Elliott) and its location on Tower Hill puts it in an area with some marvelous African American history. I talk about Willa Elliott in a presentation I often give called Pioneer Women of the Three Forks area. If your school or club would like to see this presentation on some inspirational women, give me a call to set up a speaking engagement. You can reach me at 918-682-0312. I did try some new zucchini recipes last year; some of them were pretty good. I hope I have a chance to eat lots of zucchini and other produce from my own little raised bed garden this year. There’s nothing like fresh picked vegetables for taste and nutrition. We sure have gotten away from that truth in our technology-driven society today. So many of us are so plugged in that we can’t find the time to get outdoors and get our hands dirty in some good garden soil. We are very unhealthy as a result. I attended a community meeting last evening at the library that has set a goal of making Muskogee a healthier place. The stats are a little depressing about how much obesity and tobacco use we have in our town. We have our work cut out for us to bring about some positive changes. And since change is something most people are uncomfortable with, we’ll probably get push back from the very folks we hope to help. Muskogee has just been going through another visioning process, trying to engage our community in planning for the future. The response was good with a diverse group of people coming together and brainstorming ideas about improving a town that admittedly needs some work. On the one hand, this process has been very exciting. We have had more participation in this visioning process than any other I have been a part of. On the other hand, the work that needs to be done is a little daunting. We certainly will have to break it up into small more do-able projects. Even so, I feel hopeful that positive changes are possible and on their way. The key is going to be in keeping the momentum going. At this time of year, people get very busy with the holidays. It will be so important that we don't drop that ball, but keep pressing forward. One thing I have learned from studying Three Forks area history is that our founding parents were willing and determined to roll up their sleeves and work hard at buidling community. They did that for us. We can do no less for our children and all those who will call Muskogee home in the future.